American director and writer Lambert Hillyer was born on the 8th of July, 1889 to character actress Lydia Knott. Hillyer proved to be a prolific, reliable director able to bring a sense of style and a certain panache to his films. His contributions to the horror genre were the beautifully brooding Dracula’s Daughter (1936) and the Karloff/Lugosi vehicle The Invisible Ray (1936), both for Universal. Cutting his teeth on westerns, Hillyer also packed a number of stylish B-features under his belt, but the latter part of his career saw him working mainly in television. 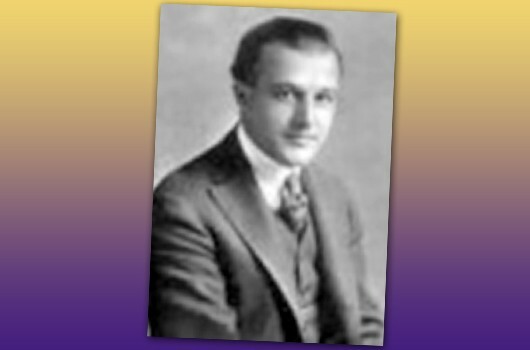 He was also noted for a couple of serials, most famously Batman, which he directed for Columbia in 1943. Lambert Hillyer died on the 5th of July, 1969, in Los Angeles, California.